Nope, not true. 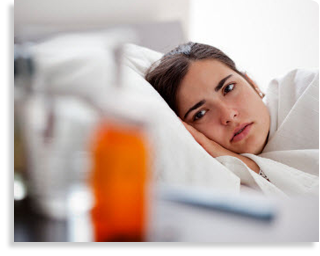 It is a very common misconception that antibiotics can be used to cure the common cold or flu. In a study published by the Oxford Journal of Clinical Infections Diseases, a majority of patients were willing to take antibiotics for conditions likely to have a viral origin, such as flu, sore throat, cough or earache. However, antibiotics kill bacteria and specifically treat bacterial infections. Common colds and the flu are caused by viruses, not bacteria. Antibiotics do not help fight viruses. Additionally, taking antibiotics for a viral infection may do more harm than good: using antibiotics when they are not needed — and cannot treat the illness — increases the risk of a resistant infection later.Antibiotics may be used to treat bacterial infections that may result from a viral infection, but not the viral infection itself. Centers for Disease Control and Prevention. Antibiotics Aren’t Always the Answer. Retrieved from: http://www.cdc.gov/Features/getsmart/; December 28, 2011.